Barbecues have always stymied me. When I was younger, I had a go at trying several different models of wood or briquette fired barbecues, and the results were always woeful ... more smoke than heat generated, my hands stinking of firestarters, uneven heat leaving meat on the grill half-burned and half-raw, or the heat just didn’t last long enough and went out before the meat was finished cooking. 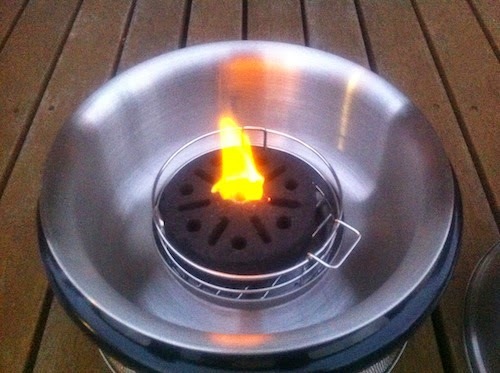 I don’t even trust gas fired barbecues: no matter how fancy or expensive they might be, they always seem to end up being too hot, even on the lowest heat settings (hey I don’t like burning my cooking). 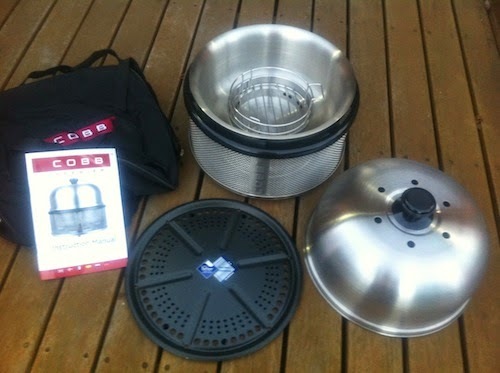 So it was with some hesitation that I accepted the gift of a Cobb Premium outdoor cooker from Cobb Australia, even though it was on a no-strings-attached basis (the only deal was that I would write a review, good or bad, based on my experience with the thing). What an epiphany! To call this a “barbecue” is to do it an injustice. 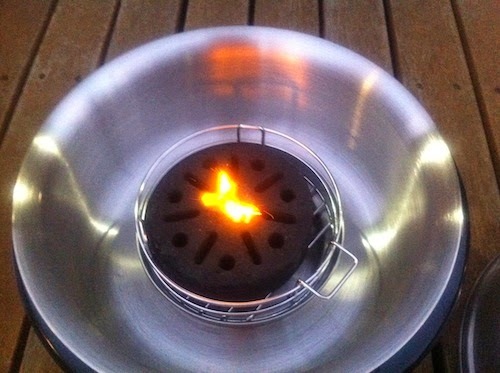 It is so much more than that: an outdoor cooker that doesn’t need gas, which comes with special environmentally friendly pressed-bamboo briquettes that catch fire ridiculously easily and burn evenly to generate a “Goldilocks” heat for around 2 hours, which emits virtually no smoke (nothing that you would notice unless you were paying close attention), super-simple instructions and most importantly of all, cooks things to perfection! And all without any practice or dry-runs. 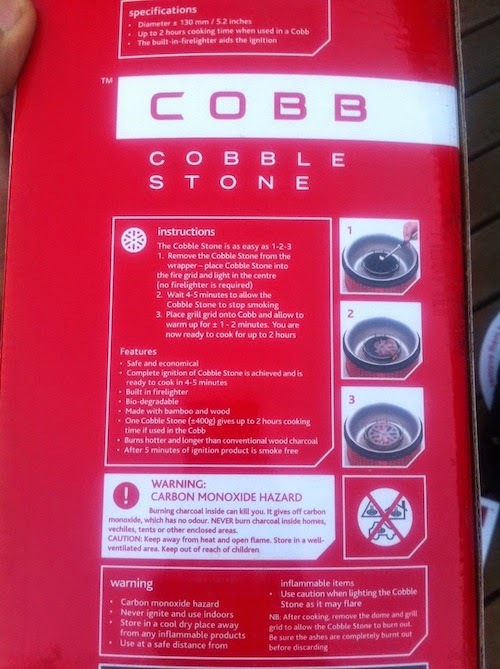 In one sitting, I literally unpacked the brand-new Cobb and assembled it together in a few minutes, then spent a few more minutes reading the instructions before placing the special briquette at the bottom and lighting it. 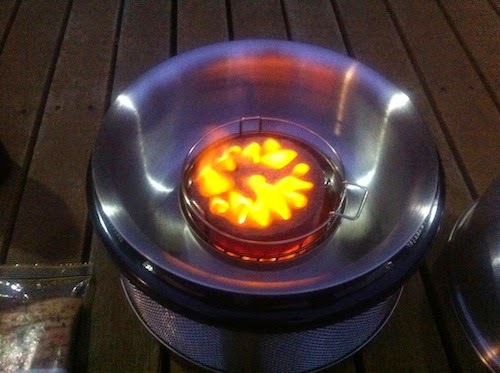 It lit up with a nice flame upon contact with my lighter, which spread across the entire briquette to turn it into a pleasantly watchable red-glowing heat source. 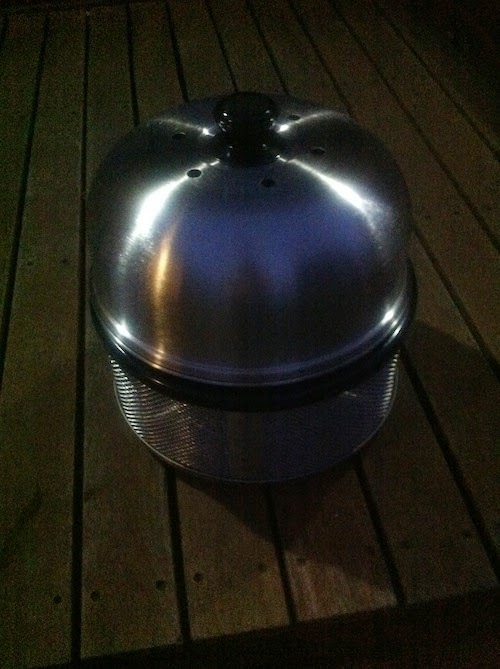 I then put on the non-stick grilling plate, added my meat and put on the dome cover. Then forgot about it for two hours while I did other things. Okay, I did check in on it a couple of times early on, but honestly did forget about it after that! So what did I cook? My favourite pork belly recipe which was designed for cooking in a conventional oven – with the pork belly marinated with olive oil, salt and various spices for a couple of days, before being plopped onto the grill plate straight from the fridge. The Cobb also features a “moat” around the briquette which I filled with water to ensure that the meat didn’t dry out. 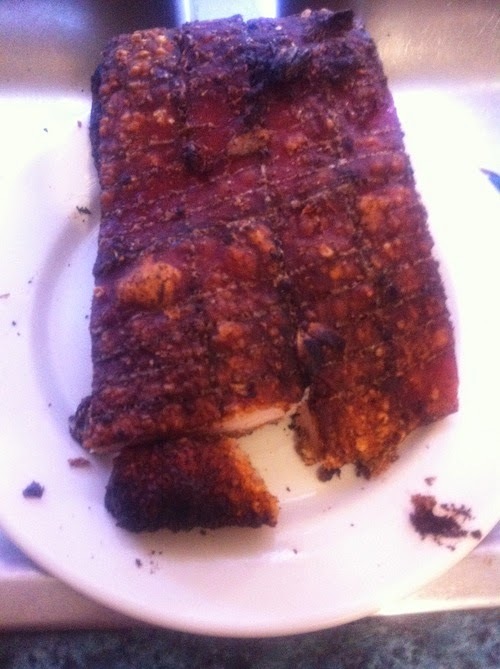 Around two hours later, when I took the pork belly off the grill plate, it was just perfect – the flesh was soft, moist and tender, and literally falling apart when handled (it would probably have been fine it I had taken it off half an hour earlier). The skin was soft and unctuous with a soft and easily chewable texture, like a warm gummy bear left in the car during summer. I know that some people are squeamish about non-crispy pork skin, but this texture was just sublime! Nonetheless, after slicing off a few chunks, I put the rest into the oven for 20 minutes to puff up the skin into crisp golden joy, because even I can’t resist the siren call of crispy pork skin, especially when it is only 20 minutes away. 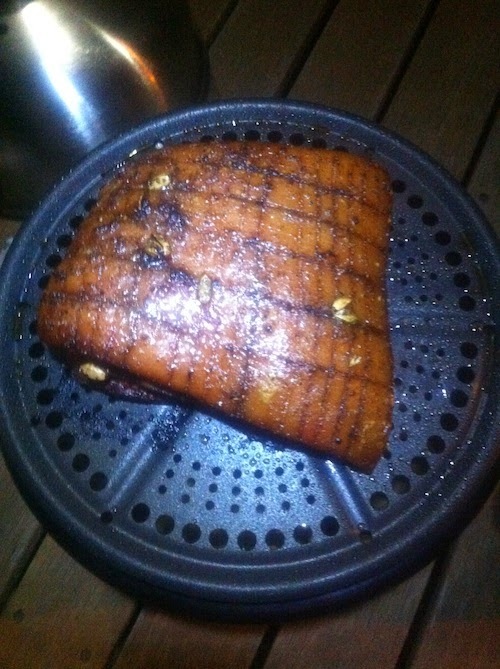 Well, there’s nothing left to say – the pork belly was perfect, the Cobb oven was perfectly easy to assemble and use, and also ridiculously easy to clean! 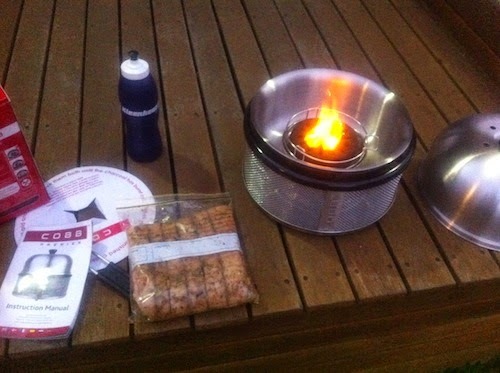 This is not just some rough and ready invention, and it’s not just something you use for cooking sausages while camping. 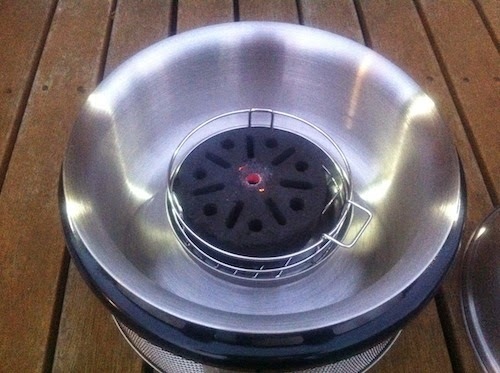 It perfectly handles recipes that are supposed to be cooked in a conventional oven. 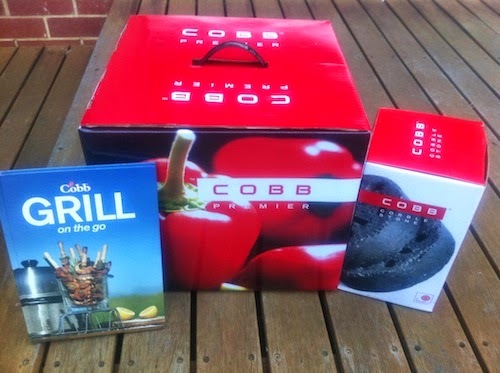 I am certainly looking forward to more experiences with my Cobb oven. Thank you for sharing this post with us. I really liked your post. Thank you for sharing this post on this platform. I really appreciated your post. and your hard work.